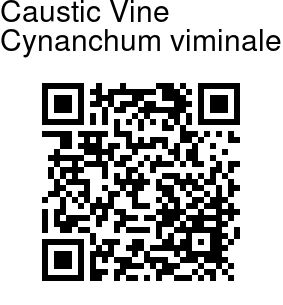 Caustic Vine is a succulent climbing plant. Stems and branches are mostly prostrate or scrambling over other vegetation, grey-green, producing milky sap when broken. The lower part of the stem has a thick corky bark. The leaves are reduced to scales. Star-shaped, creamish-yellow-green flowers are borne in spherical umbels, sweetly scented. Fruits are carrot-shaped, containing seeds with a pappus of white, silky hairs. Caustic Vine is native to India, Africa and Australia. 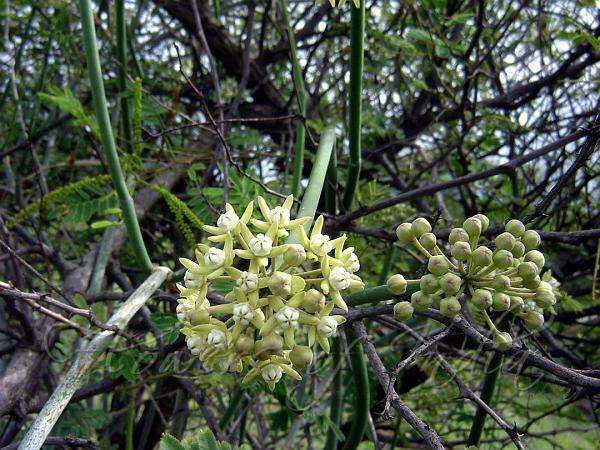 Medicinal uses: Plant extract is given in digestive disorders. Plant paste is applied on fractured bone. Photographed at Markal, near Alandi, East of Pune.